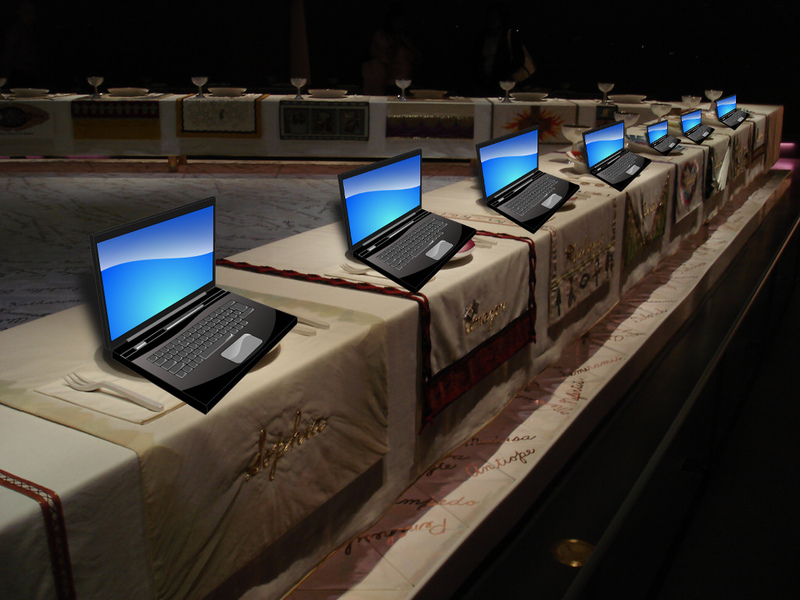 p> The Programming Party, based on artwork by Judy Chicago, and a photo by fdecomite – The Dinner Party. Over the last few months here at Silverpond we’ve been working around various efforts to bring more women into our industry (machine learning and software eingeering) and in particular onto the Silverpond team. While the overall scope of this “diversity” push could be quite large, we’re focusing on this one specific aspect first, partly because it affects us, people we know and love, and because it seems to us to be a reasonable first step to building a more inclusive community in general. In order to track how much progress we’re going to make in this area over the next year, it’s important to have a baseline to compare to, so this post is an attempt to write down some simple statistics that we, here at Silverpond, have at the moment, document our actions so far, and begin the planning process for what we’ll do into the future. So let’s look at how things stand right now. And indeed, the number of women in technical roles (and overall!) is the key number that we are trying to improve over the coming months. Domestic and Family Violence policy Flexible to special circumstances. Begun taking on interns to support new-comers and career-changers. We’re excited to make a change here! We’re very action-focused, so if you are passionate about this too, and you want to get involved and help make some progress in this area, then we’d love to hear from you, so please email me: noon.silk@silverpond.com.au.